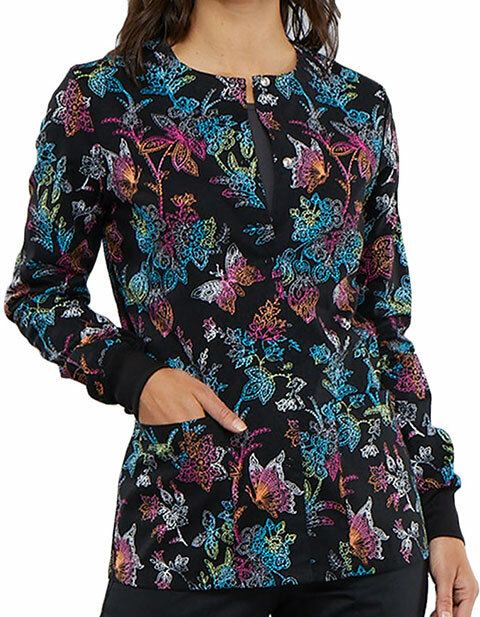 Layer up and look impressive in Fashion Prints by Cherokee CK301 Women's Snap Front Butterfly Print Scrub Jacket. 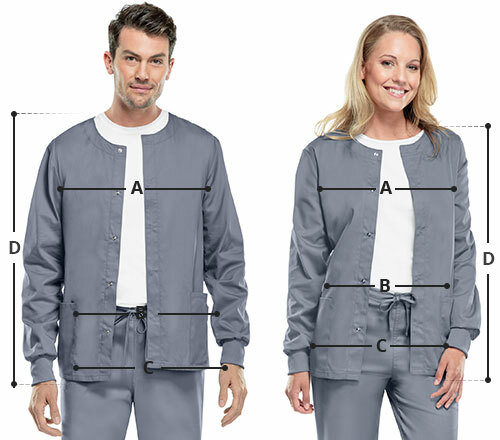 The comfy jacket features a round neckline, long sleeves with ribbed cuffs and snap front closure that makes this jacket uber functional. Paired with two front patch pockets for storage, this jacket is a must have.